Onnit used to keep a counter for how many Alpha BRAIN capsules were being sold. Apparently the product is so damn popular that the counter broke, because it’s no longer present on Onnit’s website. Regardless, I don’t need Onnit to tell me how popular their products are (where do they get off doing that, by the way? ), because I hear it from everyone else who, as soon as I tell them I’m a nootropic geek, they ask me if I’ve ever tried Alpha BRAIN. The product has gone mainstream, leaving many potential customers curious of whether or not they should try it. And, well, there’s only one way to find out: This review. Conclusion: Does Alpha BRAIN Work? 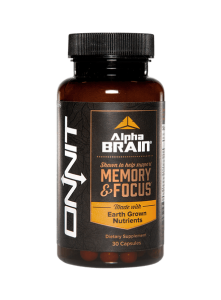 Manufactured by Onnit, Alpha BRAIN is an “Earth Grown” nootropic stack in support of natural powered Memory & Focus. Alpha BRAIN possesses a unique, patented brand of Cat’s Claw, an antioxidant, anti-inflammatory herb with decent neuroprotective potential. If you want to get more bang for you buck, I’d recommend opting for Alpha BRAIN Instant, a member of my 2017 Best Nootropic Supplements list. Directions: To help support enhanced mental performance, take a serving of 2 capsules in the morning or early afternoon, preferably with a light meal. To help support an enhanced dream state, take a serving of 2 capsules 4-6 hours prior to sleep. Do not exceed 3 capsules in a 24 hour period. Can’t say I’m too stoked on these proprietary blends, but I am stoked on what’s in them… What’s that? You want me to TELL you what’s in them? Vitamin B6 (as Pyridoxine HCl) – Decent dosage of a qualified mood booster, yet I’d prefer to see the bio-active P-5-P form over Pyridoxine HCl. More on Vitamin B6. Cat’s Claw Extract (ac-11®) – Only Onnit owns this patented ac-11 extract of Cat’s Claw, a unique antioxidant, anti-inflammatory herb with major neuroprotective promise. L-Tyrosine – During conditions of stress, Tyrosine levels burn. Supplementing L-Tyrosine may help boost focus during stressful conditions. Although, N-Acetyl-L-Tyrosine would have boosted focus even better than regular L-Tyrosine. More on L-Tyrosine. L-Theanine – This has to be partially responsible for Alpha BRAIN’s name. L-Theanine is a well-known nootropic for its alpha brainwave boosting benefits, which promote meditative mental states of relaxed concentration. More on L-Theanine. Oatstraw Extract – Similar to L-Theanine, Oatstraw is believed to promote alpha brainwaves. However, the evidence is weaker for this nootropic, which seems to enhance circulation more than anything. More on Oat Straw. Phosphatidylserine – PS is largely concentrated in the brain, supporting brain cell membranes, releasing toxins from neurons, & enhancing neuronal synapses for better memory & focus. More on Phosphatidylserine. Alpha-GPC – Of all the choline sources, Alpha-GPC possesses the highest concentration of choline that’s able to cross the blood-brain barrier. Choline is vurry good for the brain, being a precursor to acetylcholine & phosphatidylcholine and all. More on Alpha GPC. 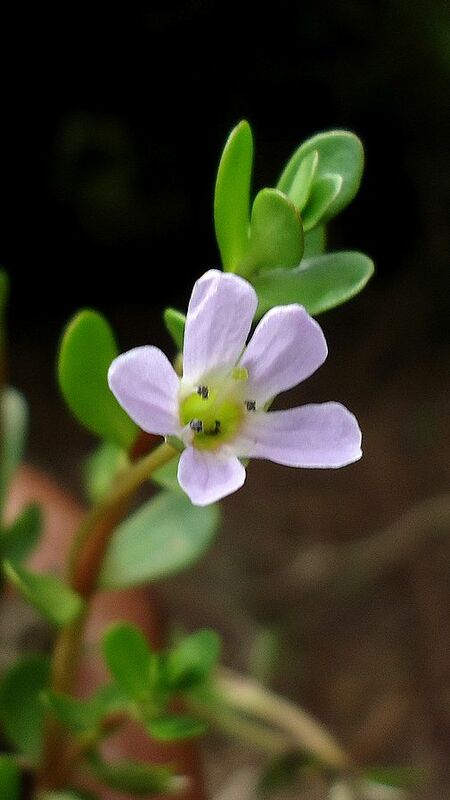 Bacopa Extract – This Ayurveda adaptogen is one of the best natural memory booster, although it requires long-term supplementation to reach peak effect. More on Bacopa. Huperzia Extract – Smart addition in this stack, preserving Alpha BRAIN’s increased acetylcholine levels by inhibiting acetylcholinesterase, an enzyme that deactivates acetylcholine. More on Huperzine A.
L-Leucine – Not too sure what this is doing here. I’m thinking Onnit is thinking this amino will operate as extra protein energy for the brain. I haven’t seen anything to suggest this is true. Vinpocetine – In tiny doses, Vinpocetine can have a potent effect on cerebral circulation, enhancing delivery of oxygen & nutrients to the brain. More on Vinpocetine. Pterostilbene – Being 4x more bioavailable than Resveratrol, Pterostilbene appears to be a more premium from of everyone’s favorite antioxidant. More on Pterostilbene. L-Theanine. For its alpha brainwave promotion. Alpha-GPC. Because, well… for its name. Yet, impressively, despite the whole, toehead, MMA-fighter, Xtreme!! athletic tone of the Onnit brand, Alpha BRAIN is a decently modest nootropic product, evidenced by its simple ads (“Nootropic to Improve Brain Function”) and non-caffeinated formula. Even more impressive, Alpha BRAIN can actually boast being clinically studied. A lot of products make this claim. However, Alpha BRAIN isn’t lying when it says it. One area where Alpha BRAIN drops the ball: Dosages. Not that they’re bad or anything, but I can’t see them all. Onnit hides them underneath proprietary blends, which are never a good look for a supplement. Additionally, a few nootropics could use quality improvements (Pyridoxine HCl to P-5-P; L-Tyrosine to N-Acetyl-L-Tyrosine). However, this is a small, petty complaint in light of the overall clean, green design of this “Earth-grown” nootropic stack. Creative brainflow & healthy neurons are the two primary Pros of this non-caffeinated, stimulant-free formula. Alpha BRAIN is the only formula to carry ac-11 branded Cat’s Claw. If this has a significant effect on brain health, Alpha BRAIN has a major edge on the market. Onnit is a reputable supplement manufacturer backed by a number of positive customer reviews. Their first entry into nootropics is solid and even improved upon by Alpha BRAIN Instant. I get why supplements use proprietary blends, yet I still don’t like to see them. Some ingredients could use a bump in the quality department. I’m not entirely sure what the deal is with L-Leucine. Granted, it’s the only questionable ingredient in this formula, but still a potential waste of capsule space. Joe Rogan takes Alpha BRAIN. Haven’t you ever heard him talk about it for about 3 hours at the start of all of his 20-hour long podcasts?? Onnit’s athletic vibe gives off the impression that Alpha BRAIN is designed for both athletes & geeks. Alpha BRAIN users can buy the stack directly through Onnit as well as Bodybuilding & MMA Warehouse, which makes sense considering Onnit’s association with fighters. You won’t find this product on Amazon. Unless your brain is already firing on all cylinders (I mean, come on, I highly doubt this), Alpha BRAIN will get your brain pumping & flowing. Relative to most cognitive enhancers on the market, Alpha BRAIN is one of the healthier formulas I’ve come around. This is in large part due to the fact that Alpha BRAIN achieves brain function through brain health, whereas most stimulant cognitive enhancers compromise brain health for enhanced function. The mark of a true nootropic is this emphasis on brain health. As such, Alpha BRAIN makes for a valuable nootropic stack to be taken both now in your younger years & later in ye olden days.